Shoreditch Street Art constantly refreshes and amazes, one moment you are mourning the theft of a genius piece of work from the streets, the next your breath is taken away by an astonishing dialogue between new art and old on the walls. Syd the stencillist, who previously spotted that Jon Drypnz’ running graffiti man could be seriously improved with the addition of some oversize flesh eating ants has come up with a beguiling modification and reinterpretation of a naïve portrait painted back in 2009 by Mymo. Syd has incorporated a stencilled Joker face from the Batman franchise within the confines of Mymo’s original ultra-wide face and played with the juxtaposition of the eyes, making a triple eyed beast. It’s all in the unplanned dialogue, the unscheduled interaction between artists and the update. 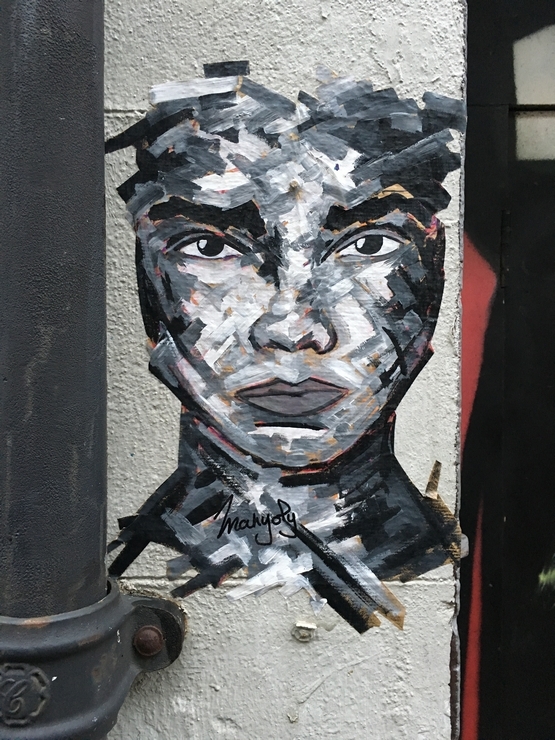 Here is what it looked like originally, when Mymo who was around for her solo show at the Pure Evil gallery decided that this patchy decaying paintwork was reminiscent of a face! 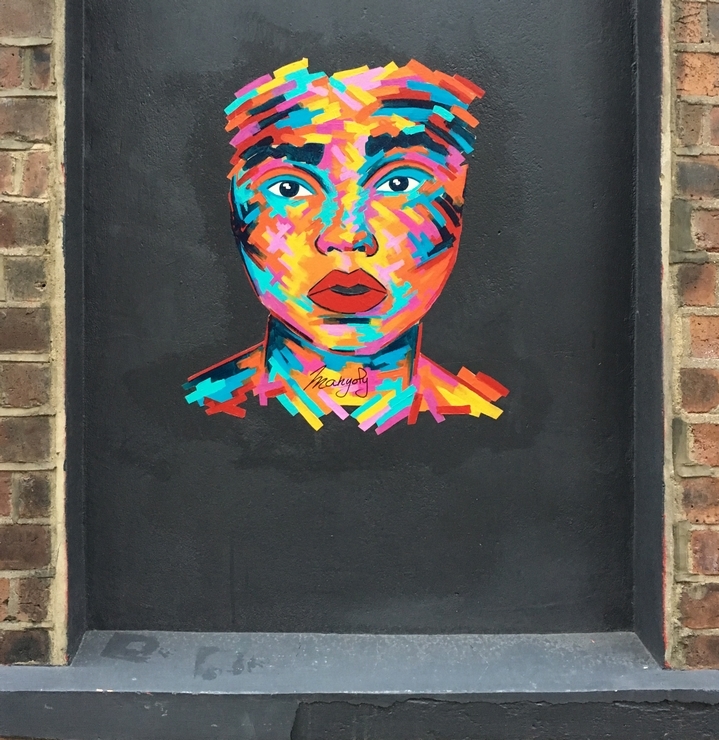 This entry was posted in News and tagged Art, batman, interaction, joker, London, portrait, Shoreditch, Street, street artists, Syd on 09/24/2013 by Shoreditch Street Art Tours.